Some are still under consideration and test, let me know if you like/don't like. 1. 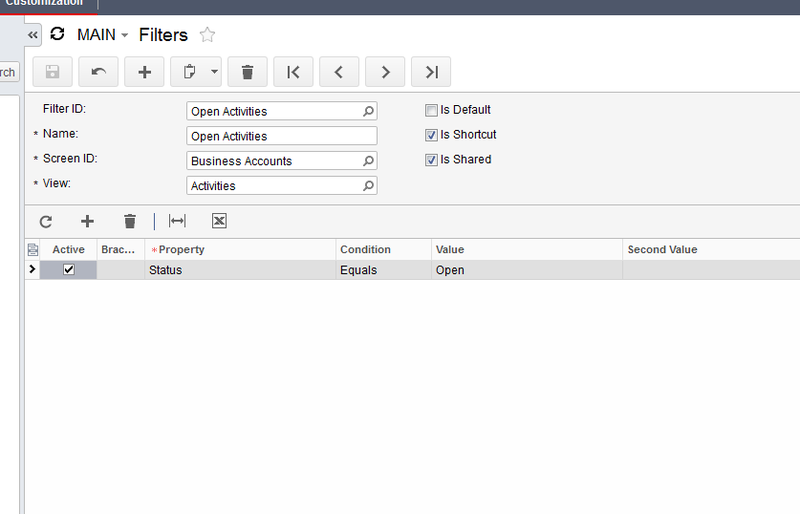 Maintenance Screen for all Filters from the system. 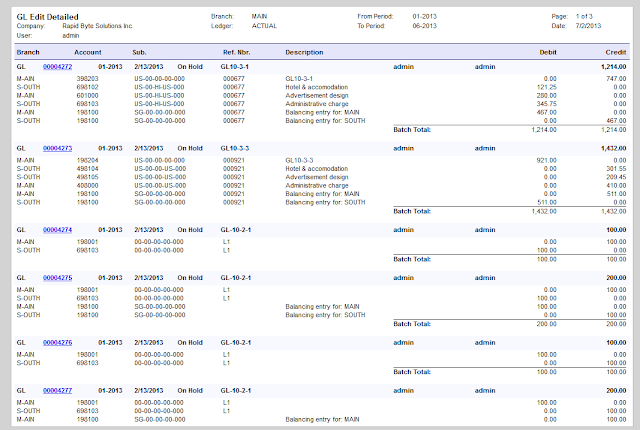 Including Grid Filters. Basically to organise filters created by users in numerous screens, so administrator or even user himself can find/delete/amend one quickly. 2. Grid Column Filters. 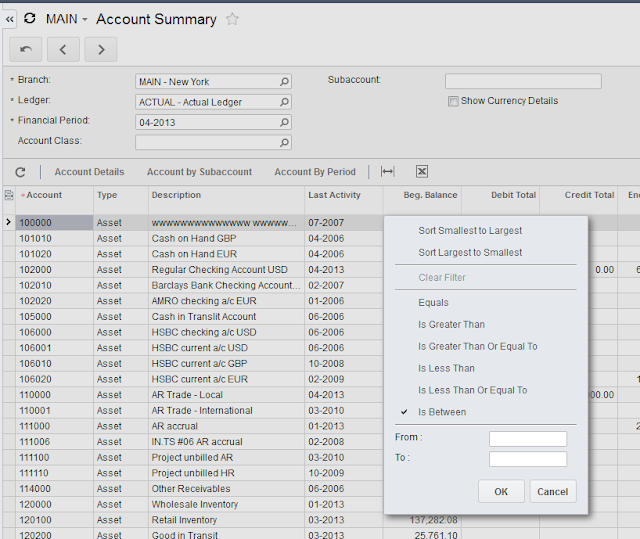 User Interface for columns on the grid. This includes quick filters, much richer functionality. 3. Grid Column Sorting. Enhanced sorting options per column. 4. 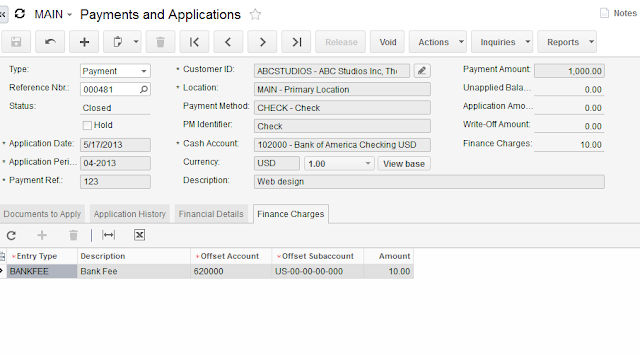 Payment Charges in Financial Modules. 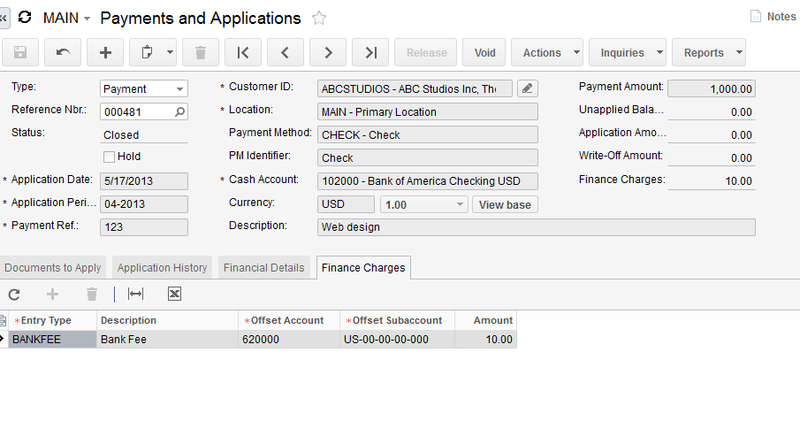 Its when we need to bank or other charges immediately when payment received or made. Cool feature, no need to do it via W/O or Cash manager any more. 5. Much nicer report layouts in HTML format. Please post your comments until we have finalised the release. Hi, please more post. 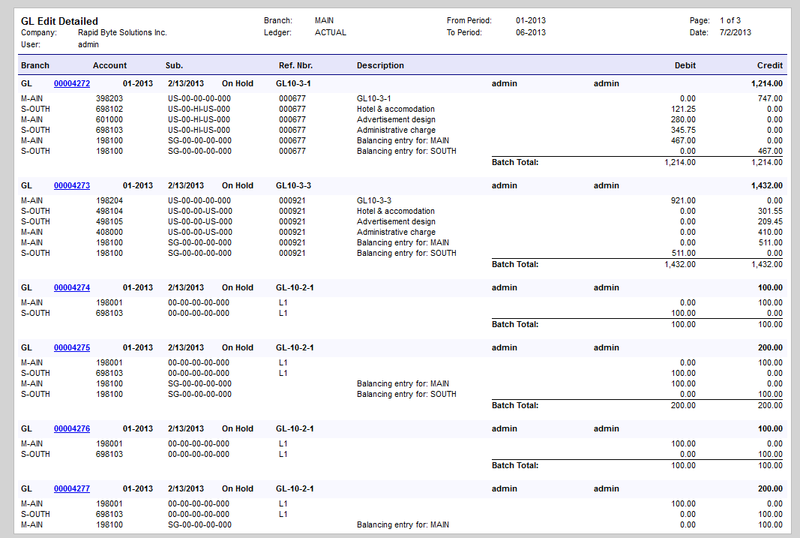 How to use Acumatica 4.0? Thank you. I appreciate all your post. Nice! Thanks for all the screenshots. 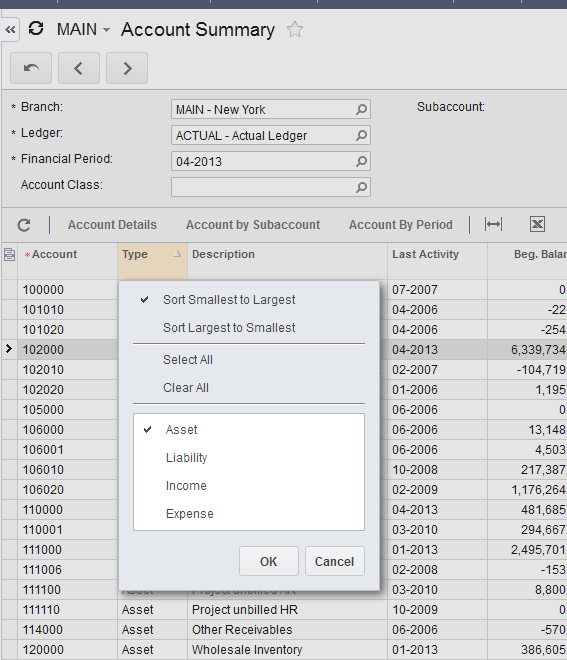 I heard there's Dynamics Excel at Acumatica 4.10 . Thanks for a feedback. 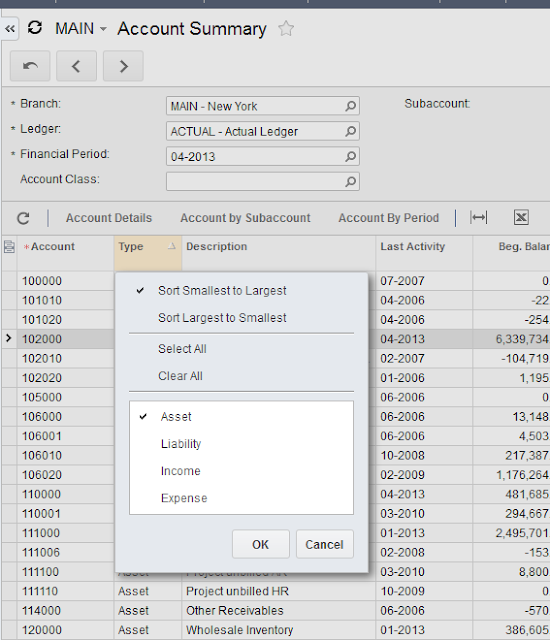 Yes this is a great feature, it adds data source to every excel download from Inquiry. Not sure need to dedicate a special article to it. Still thinking.